ALIEN ISOLATION PE - is a project on Android, created by a CCC team. 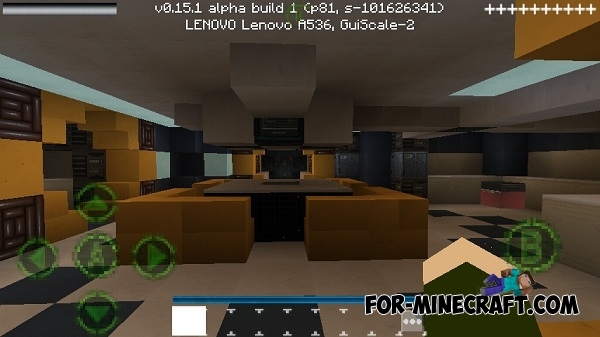 You get Minecraft PE in the style of the famous horror Alien Isolation game. The project developed from the beginning of February and will be completely ready in a couple of months. What is the ALIEN ISOLATION PE project? 1) Ready launcher. It is a fully redesigned Minecraft Pocket Edition 0.15. It includes block and item textures, new mobs, skins, sounds, menu. 2) Map for single or cooperative play. It is completely constructed Sevastopol station, Anesidora and Torrens spacecrafts. 1) The project supports Minecraft PE 0.15. 2) A new separate Nostromo PE edition with special textures and map. 3) Changed the Sebastopol station. It consists of several, and each of them is the head (currently made 1, 2, 11 and 19 chapters). 4) Added the story and tasks in the game. 5) New mobs, including Alien! 6) New items, blocks, gui, and more.